Just two weekends ago, Shanghai saw the 15th opening of its International Film Festival, which ran through June 24 and attracted a parade of international stars to more than 400 screenings in over 20 venues. The juried competition was overseen by Jean-Jacques Annaud (The Bear), and the red carpet populated with actors such as Jackie Chan, Aaron Eckhart, Heather Graham and China’s own Tony Leung. Hong Kong action star Chow Yun-Fat (The Killer, Crouching Tiger Hidden Dragon) received the Outstanding Chinese Film Achievement Award for his contributions to Chinese cinema since the 1980s. As a veteran standing at this year’s award ceremony, we imagine that Chow must have been thinking one thing: “How things have changed”. In the early 1980s, the Chinese film industry struggled both as a result of competition from other forms of entertainment, and because of the government’s concern that popular action and martial arts films had a negative social influence. Now fast forward to February 2012, and you have Disney announcing plans to co-produce some of its highest budget thrillers in Mainland China. The first film it plans to produce in the Asian country? Iron Man 3. According to reports published by PRNewswire in 2011, China is currently the third largest film industry in the world by number of feature films produce annually. In 2010, China produced 526 feature films and generated approximately 12 billion RMB in revenue from its film industry. Box office sales are still the main revenue source and impetus for growth: in 2011, Chinese box-office receipts grew by 33% to earn 54% of a total box office of 2.06 billion US. By the end of 2012’s first quarter, China overtook Japan to become the world’s second largest cinema market, with an estimated market value of 17.25 billion RMB. At a conference in April 2012, Mike Ellis, Asia-Pacific President of Motion Picture Association of America, announced that China’s cinema screens had increased from 4,753 in 2006 to 10,700 in 2011. On average, that is eight new screens a day. China already has the largest number of digital screens in the world after the U.S., and 35mm will probably die out sometime next year. Unlike most areas of the Chinese economy, which still exhibit significant state involvement, the film industry is dominated by private firms. Around 70% of content is made by private film production companies, and of the 300 film distributors in Mainland China private companies figure in at 90%. The largest 10 film distribution companies, China Film Group, Huayi Brothers and Shanghai Film Group among others, form an ‘oligopoly’ with over 80% of market share (PRNewswire 2011). Their control of the market is aided by the fact that foreign firms are not yet allowed to participate in this area outside of ventures with Chinese firms. PolyBona Films is the largest film distribution company; in 2011, its net income reached US 1.35 million. For its part, the Chinese government has recently undertaken efforts to heal a relationship between Hollywood and Beijing that has historically been strained. Sources of friction between the two have been limits on the number of foreign films that could be imported each year into Chinese markets, rigid censorship rules, and what Hollywood has always considered to be a much-too-lenient approach by the Chinese towards piracy. In February of 2012, China increased the annual limit of foreign films allowed into the country from 20 to 34; ticket revenue was also increased for foreign studios from a previous 13% to a max of 25%. It is no coincidence that negotiations concerning the aforementioned joint venture between Dreamworks Animation and China Media Capital began the same day. 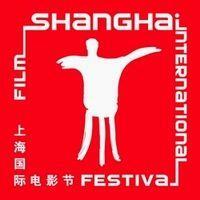 Nevertheless, for many Chinese filmmakers increased internationalization is no cause to celebrate. Even though Chinese moviegoers spent 10.17 billion RMB at the box office in 2010, about 20% of net revenue was generated by two Hollywood blockbusters: Avatar and Inception. In May of this year, Disney’s The Avengers grossed 640 million RMB – in the same month, domestic productions collectively took in only 150 million yuan. Many Chinese directors blame unequal content censorship between local films and their Hollywood rivals. According to director Lu Chuan (The Last Supper), “[How] could we compete under the same standard? In Hollywood films, Washington could be flooded and Los Angeles blown up, but to damage any signature building in Chinese cities is almost impossible [for domestic filmmakers].” Professor Fan Zhizhong of Zhejiang University attributes many of China’s film market woes to the industry’s long-standing trend of undervaluing screenwriters: “China’s film industry has been embedded in a culture that attaches more importance to visual effects than narratives since the 1980’s, which has, to a certain degree, led to the decline in status of screenwriters” (Xinhua News, December 2010). On the other hand, during the SIFF, many directors expressed the hope that an increased amount of foreign films would motivate Chinese filmmakers to rely less on state protectionist measures and to create more competitive films. As the burgeoning Chinese film market continues to boom, and foreign firms are lured East by the promise of hundreds of millions of moviegoers, it is hard to predict how what is in many ways a still-undeveloped industry will evolve. One thing, however, is for certain: if Chinese films are already finding it challenging to compete with Western blockbusters, increased integration will only make their job that much more difficult. According to Yin Hong, professor of film studies at Tsinghua University, “only about 100 of the 500-plus movies China produced last year have met acceptable art standards” (Xinhua News, June 2011). As for the others, well, perhaps they should start by following the advice of Mark Osborne, one of the directors of box-office hit Kung Fu Panda: learn how to tell an interesting story.